You know the ol’ saying everything is old is new again, right? Once the word modern became the newest catch phrase for quilters, I began to study what was this new way of quilting? It is hard to clearly define. Is it the actual quilting? Is it the use of solids and open space? Is it the freedom of expression, technique and style? define the energized resurgence of a generation of quilters of any age. Then these words, low volume, were popping up all over the place. Seems simple enough if you have studied color for quilting, right? This is also where the what’s old is new again part comes into play. What is the difference between the watercolor quilts of the 80’s and love volume of 2010? different way to look at things from the early days of the 80’s when I learned to quilt. Those were the days of limited color choices, small calico’s and lots of rules. 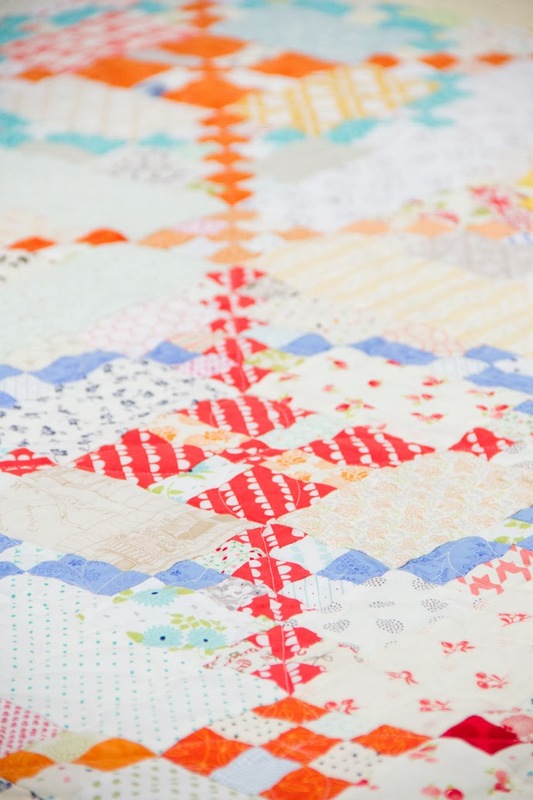 completely lifts the lid off of the rules I learned to quilt by. inspiration for the quilt we will be doing in the APQ quilt-along. I love picking fabrics and I would like to say I am pretty good at this, thanks to my early quilt classes along with my mother’s artistic influence. This has been my year of looking at things differently and my surrounding influences. I started studying my fabric buying habits and I rarely bought light large to medium scale prints for use in scrappy backgrounds. I just didn’t use them. but not all designs work with this concept. Now for another classic saying, If it were a snake it would have bit you. 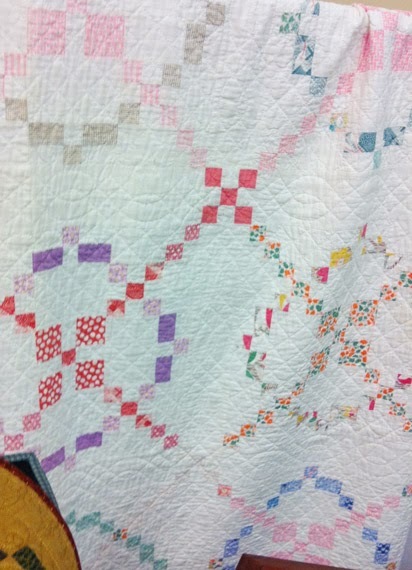 Everyday I walk past an office where the most beautiful faded Burgoyne Surrounded quilt hung. the most simplistic way. I wondered how that design would look in low volume prints for the background instead of a solid.. I didn’t just wonder, I was consumed. I couldn’t sleep as I pieced each quilt block exploring different background fabrics. so there is a pop of color throughout. 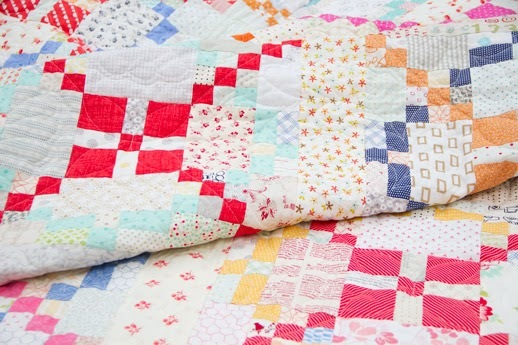 There are several people doing this quilt and sharing a multitude of color inspirations for you. your fabric choices so you can quilt along with us. Beautiful colors. I am so doing this project. I can't wait to get my new magazine in the mail. I already have fabric picked out of my stash. have a great Thanksgiving holiday weekend. I also have an antique Burgoyne Surrounded quilt that's over 100 years old. It has a white background and all the squares are orange, faded, but strikingly modern none-the-less. I used it as inspiration for another project, but I am so happy to see you tackling that particular pattern with current fabrics. Can't wait to see what all the quiltalongers come up with! Is Moda going to make kits like yours? I really want one!